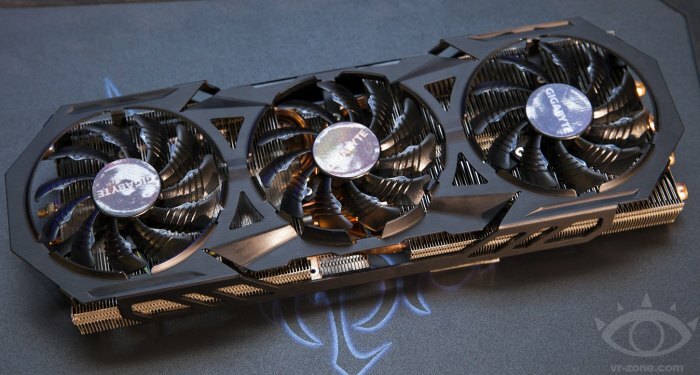 GIGABYTE has unveiled new versions of the WaterForce and WindForce graphics card coolers. 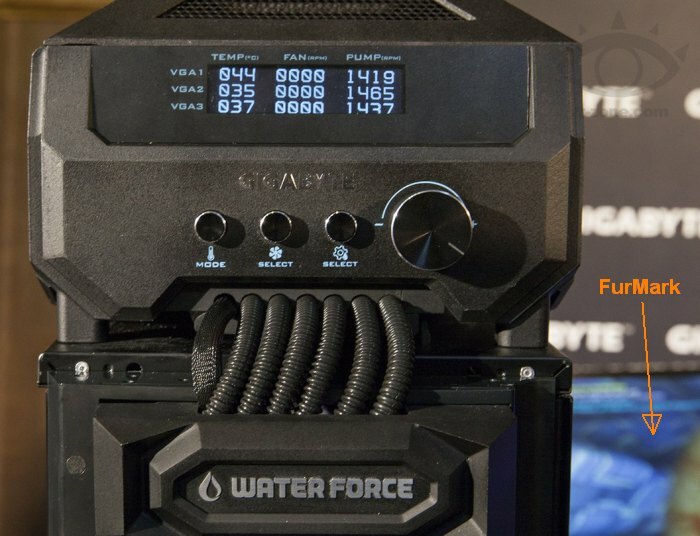 The WaterForce is an enormous liquid cooler designed to chill a 3-way SLI setup. 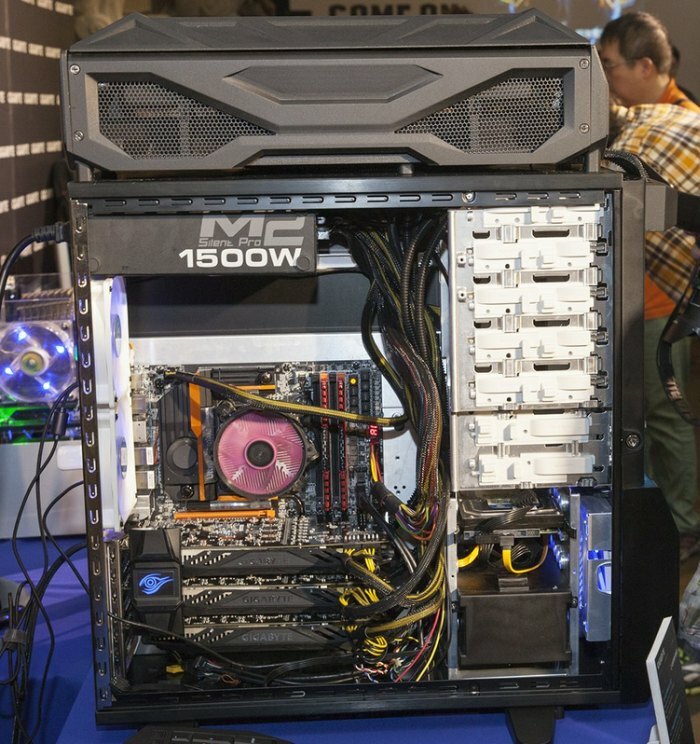 The cooling core is so enormous that there’s no enough room inside a case. The WaterForce finds its place on the top of the PC case (the WaterForce is cooling three GeForce GTX 780 Ti). 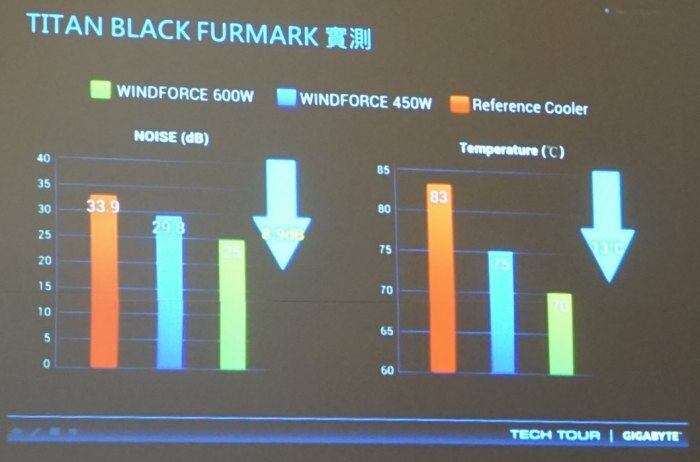 With the WindForce 600W, the GPU temperature of a GeForce GTX Titan Black does not exceed 70°C under FurMark while with the reference cooler, the GPU temp climbs over 80°C.